In this series, we discuss causes of anxiety for those facing physical illness and its side effects. Phrases in bold are the words of our community members across various conditions on what it’s like to deal with these anxieties. When you ask anyone what’s most important, they’ll often put family and friends at the very top. Mutual support is an important part of a relationship: you can support them when they’re in need, and they can in turn be there for you. This becomes a lot more complicated when chronic illness gets in the way. It can make it harder to be there for others when you want to be, and harder for them to understand what you need. Some feel that their condition is downplayed by their family, or that they understand some challenges but not others. They may be able to understand physical symptoms or side effects, but be less understanding of the emotional toll. It can be hard to talk to a family member who doesn’t want to face your diagnosis or doesn’t believe what you’re telling them. Navigating romantic relationships poses a different sort of challenge. If you’re a main breadwinner, you might feel pressure from others or yourself to be strong or tough and provide financially. If you’re dating or in a new relationship, there’s a whole lot of other expectations. Not only do you worry about what to wear or what to say, you struggle with when, if, and how you’ll explain your condition. It’s a hard balance to know how much you’ll share. You may want to be open, but fear scaring them away. This can be especially hard when you’ve been hurt in the past. Communities like ours and support groups and nonprofits for your condition can be full of people who get how hard it is to balance family life. Not everyone is open to family and couples counseling, but for some it can help to gain perspective on the challenges you’re facing. Ask how your loved ones are feeling, and encourage them to seek support if they need it. Making sure they’re taken care of can open communication and ease stress. 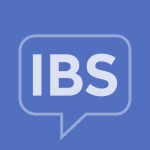 How to Support Someone with IBS?